Map updated on October 13, 2017 with Zero Lot Lines for building footprints also offered as a possible real option. This historic property is now for sale in whole or in part. Extending over 2.57 acres (if purchased in one block, more property offered if subdivided in purchasable building footprints), this Commercial Corner, the former John H. Small property, is now for sale, and may be sold as one tract, or sold in building footprints. 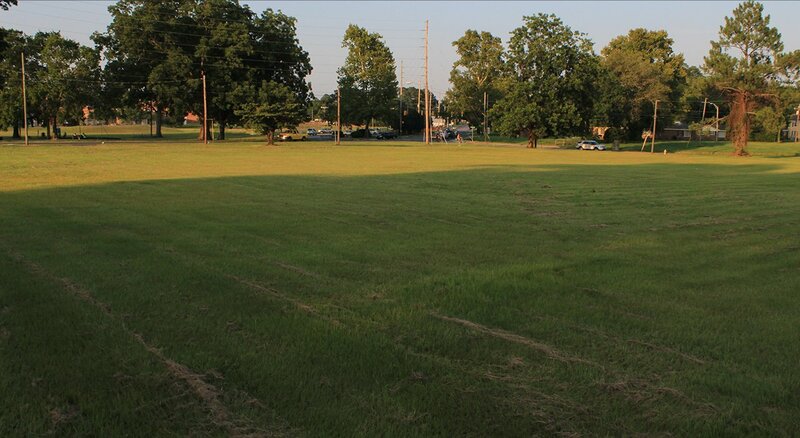 We are currently referring to this property as The John H. Small Commerce Project, where we will encourage creative uses of the property to the betterment of the community at large. From high above The John Small Commerce Project, looking down Jack's Creek, with Veteran's Park on either side of the creek, and then down the Pamlico River: Above. image captured by SNI Productions Click image to expand. The entire property is zoned O & I by the City of Washington, which will permit an abundance of commercial purposes, with the unmitigated access to accomplish such is outstanding; here situated at the corner of Harvey Street and U.S. Hwy 264 Business /John Small Avenue in a singular rectangle (4 calls). 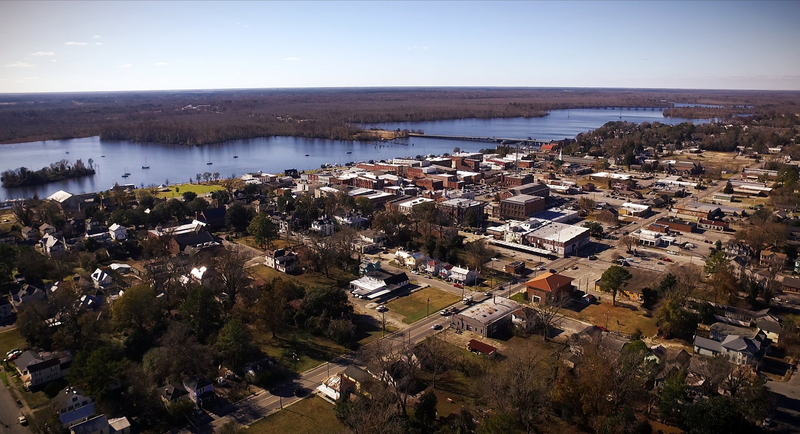 From high above The John Small Commerce Project, we look toward downtown Washington, NC, and up the Pamlico /Tar Rivers: Above. image captured by SNI Productions Click image to expand. Here is a ground level view of the 2.57 acres John H. Small Tract from the southwest corner of the property looking toward the northeast corner; image taken in July, 2016: Above. Another eye level image taken that July is this view from near the middle of the property towards Jack's Creek and Veteran's Park: Below. photo by Stan Deatherage Click the image to expand. A grand benefit of this property, positioned here on this unique, open, flat corner of U.S. Hwy 264 Business and Harvey Street is that there will never be any construction across from the property on the north side of 264 Business, for it is now a Municipal Park. To the east of this corner 2.57 acre tract, on the east side of Harvey Street, is Veteran's Park, which runs all the way to 3rd Street and bordering Charlotte Street. That insures an open view, unobstructed, to the north and the east, probably for as long as Washington remains a corporate municipality. Utilities, municipal and otherwise, are available, most notably: Water, sewer, natural gas, high speed cable for internet, land lines, and weekly garbage pickup /sorted recycling. Here, you will find a video representing the visual certainty of this proposed tract for sale; what it is, and where it is and what it represents: Below. Below is the property's map superimposed on the county tax/topo map. 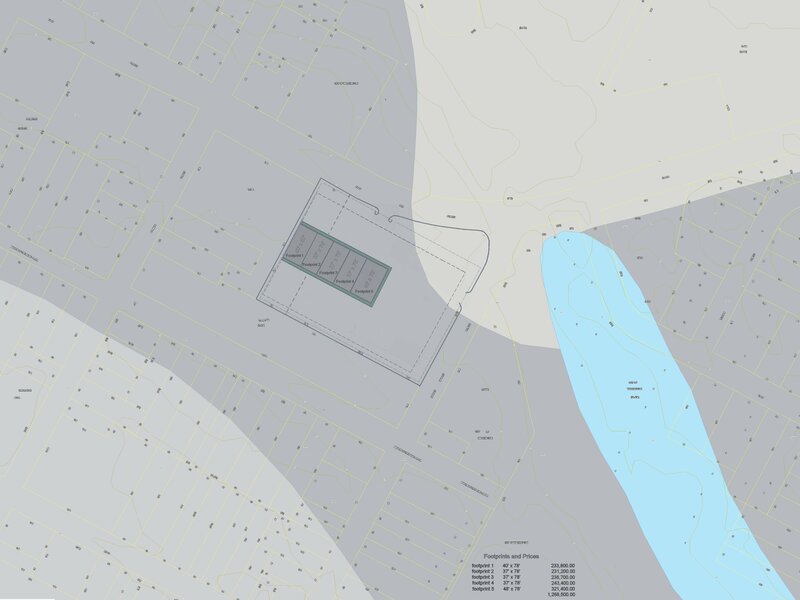 Note that the property has proposed 5 building footprints. Also, notice the proposed footprints within this 2.56 acre corner tract Click image to expand, and save at 4,000 pixels wide if desired. Will subdivide at developer's expense when any two, maybe three or more footprints, currently for sale (shown above and below, in map and pricing), are purchased at the same time. These footprint prices are based on seller /developer encumbering all costs associated with all permits, all landscaping, and the construction of the parking lot. Parking lot will begin after the two footprints sale at the same time. Published prices may be adjusted without notice. From high above The John Small Commerce Project, we look west down U.S. Hwy. 264 Business, running through downtown Washington, NC, and up the Pamlico /Tar Rivers, and if you look real hard into the distance, you may see Greenville, NC ... just kidding, however, one can easily and clearly see Pitt County in this view: Above. 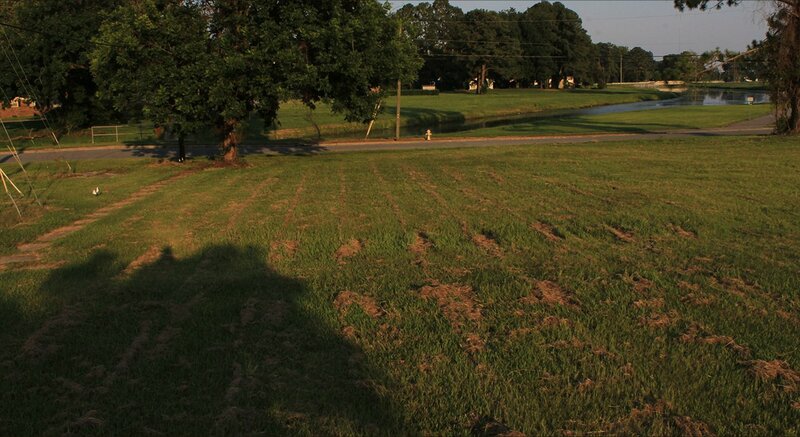 This valuable commercial property, here in Washington, NC, is offered by Deatherage & Associates. Co-brokerage for the entire tract or multiple individual tracts in a one sale scenario is 3% of sales price to the brokerage representing the sales side of the conveyance. Co-brokerage for the individual lots is 3.5% of sales price to the brokerage representing the sales side of the conveyance. The owner of this property is Stan Deatherage, who is a real estate broker - the broker-in-charge of Deatherage and Associates - intends to market this property in whole or in part.